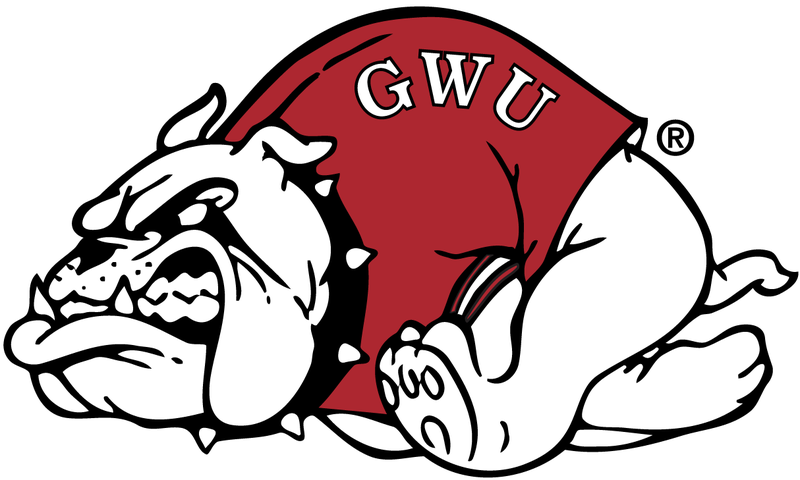 GREENVILLE, S.C. – Gardner-Webb senior linebacker Chad Geter and sophomore running back Khalil Lewis were among the group of 25 players named finalists for the 2016 South Carolina Football Hall of Fame Collegiate Player of the Year Award Tuesday afternoon. The award, presented by Hale’s Jewelers, is in its fourth year. The South Carolina Football Hall of Fame (SCFHOF) will present the award at the organizations’ annual Induction Ceremony on April 20, 2017. Clemson quarterback and Heisman Trophy finalist Deshaun Watson earned the honor last year. All finalists are either from the state of South Carolina or came to the state to play college football. The award is determined by the online votes of the S.C. Football Hall of Fame supporting members, media and the SCFHOF Board of Directors, advisors and executive team. Geter (Irmo, S.C. / Dutch Fork HS) is in the midst of a stellar final season with the Runnin’ Bulldogs, leading the Big South Conference in total tackles with 85 through eight games. He is just seven shy of last season’s career-high total with three regular season games remaining. The 6-foot-2, 253-pound graduate student tied his career-best with 14 total stops this past weekend against Kennesaw State – a mark he established earlier this season in a close loss to No. 15 Citadel (9/17). The preseason All-America selection topped the 300-tackle for his career this past weekend and is now tied for 14th in Gardner-Webb history with former All-America Mario Brown (2005-2009). Geter also has 33.0 tackles for loss, 10.5 sacks and 13 pass break ups during his standout career in Boiling Springs. Lewis (Hilton Head Island, S.C. / Hilton Head HS) is in the midst of a breakout year at running back for Gardner-Webb, leading NCAA Division I FCS with 12 rushing touchdowns through eight games. He leads the Big South in total rushing yards (817) and is a close second with 102.1 yards per game. The 5-foot-10, 215-pound redshirt sophomore is averaging 5.6 yards per carry and has five 100-yard games so far in 2016. He is one touchdown shy of tying Shed Harris for the school’s single-season record, set in 1996. Lewis is on pace to finish the regular season with 1,124 yards, which would be the third-best total in Gardner-Webb history – and most since Darrell Middleton went for a school-record 1,401 yards in 1989. He had a career-high 138 yards on the ground this past weekend against Kennesaw State and scored a pair of touchdowns. The mission of the SCFHOF is to honor South Carolina football legends, help players transition to life beyond the game, improve player safety and promote the game of football and South Carolina. The organization honors athletes, coaches, business, and media professionals connected to South Carolina who have made a significant and positive impact through football. It helps promote and support the game of football and those who play it. Their Business Connect program provides players with collective wisdom from football alumni to support and encourage their transition to life beyond football. They encourage the support of football and our community and annually present a Humanitarian of the Year Award.